Home » » Man Stepped Over His Son's Dead Body to Run From Police After Being Caught Stealing TV Speakers. Man Stepped Over His Son's Dead Body to Run From Police After Being Caught Stealing TV Speakers. A man, identified as Christopher Kuhn, has been arrested after he left his two-year-old son to die following a failed robbery. 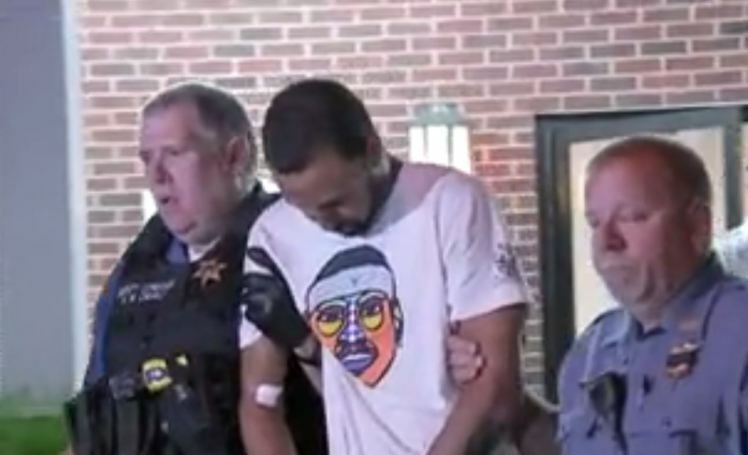 According to Metro UK, Christopher Kuhn, of Hamilton in New Jersey, fled a vehicle after it crashed as he made his getaway from a Philadelphia-area Walmart with stolen television speakers. The 27-year-old allegedly stepped over his son’s body to evade police capture. He has been charged with third-degree murder on Wednesday and remains in the Bucks County jail. Tullytown police say Kuhn fled the store at Levittown Town Center early Tuesday afternoon after taking the speakers worth $228. He allegedly ran a red light and collided with two other vehicles, and kept running even after his son was thrown from the wreckage. Police caught up to Kuhn after a short foot chase. Nobody else was hurt in the crash. Police say Kuhn’s son wasn’t in a safety seat. Kuhn was visibly shaking in his first court appearance, and proceedings had to be halted numerous times because he was so upset.